Kimberley! So cute! At first they both looked stepped up. I love how you cut out the little parts on the hair and his fingers where he is holding the sign. Very clever! 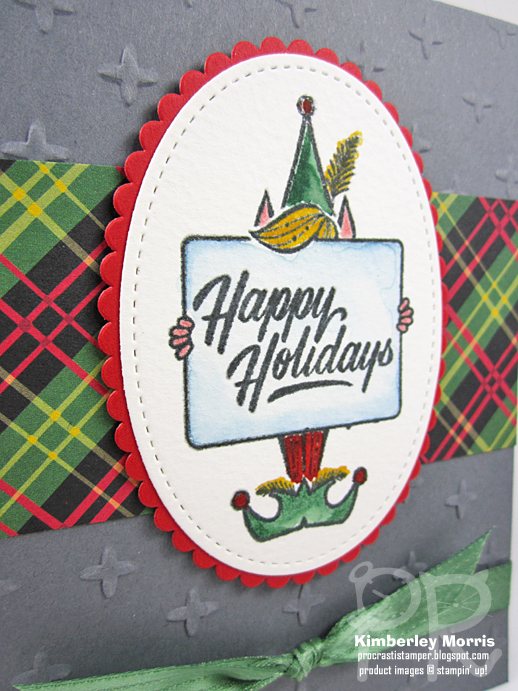 However, I really like the oval stitched frame and how colorful he is on your stepped up card! I love the plaid! such great cards Kimberley! love that little elf! TFS! That little elf stamp is so cute. That stamp would be the main reason to purchase the set. I really like your paper combo. 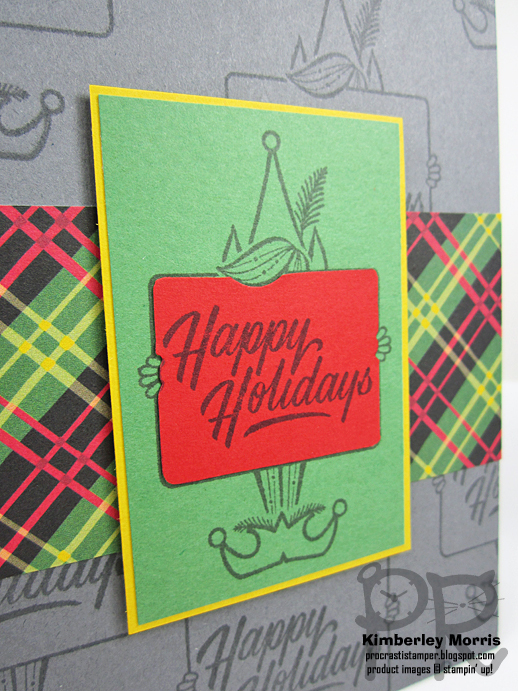 Anything in red/green plaid screams Christmas! How cute! I literally never even noticed the little elf! I love the watercoloring!